I think you will be leaving us this week. Thank you for the joy you brought. 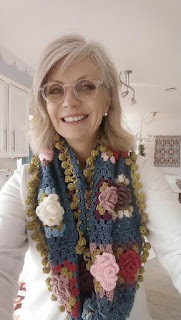 The Completed Granny Rose Scarf! Cow is happy that the scarf is finished! Although with each guess/suggestion, I wished I had used that color, haha! Isn't that the cutest trim? It's by Robin Sanchez at Once Upon a Pink Moon. 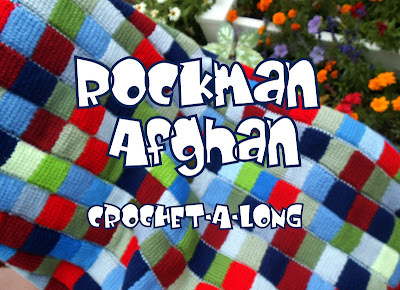 Click here to go to her lovely site for the free instructions! 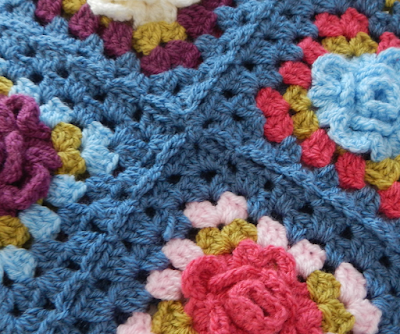 It's called the Pom Pom Edge. Be sure to linger a while you will be delighted! 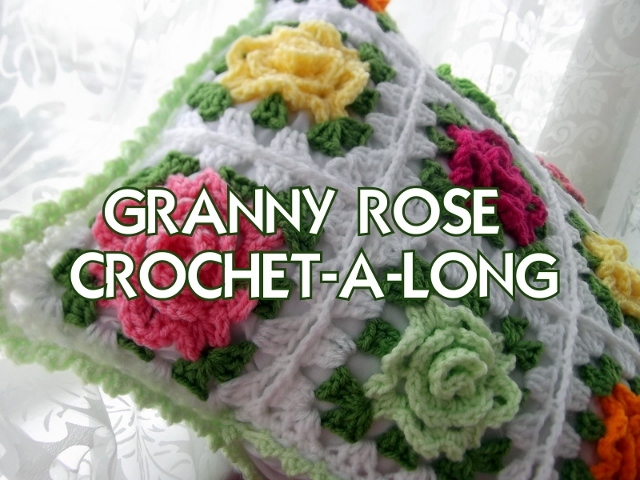 The Granny Rose pattern can be purchased here. Cow says, "Please show them more photos of the finished scarf". "I will happily do that tomorrow", Astri replies. "and by the way this trim looks like grass but does not taste like grass!" 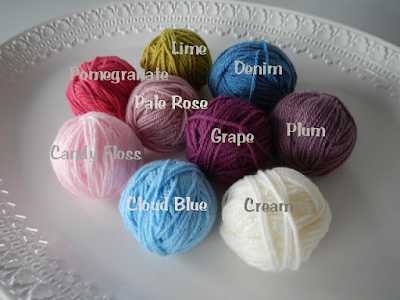 because she knows how good yarn can be! and yesterday's post was supposed to be today's post. Haha, I'm easily dazed and confused. It's all Stylecraft Special DK. the chain in the middle of the pedal. The the leaf row was added in Lime. for an infinity scarf. Or a straight scarf is also an option. This is what it looks like with second row following the join-as-you-go method. There are a lot of great videos and instructions out there on how to do this. Greetings from the Granny Rose Scarf mascot, Cow! All leaf rows are lime. 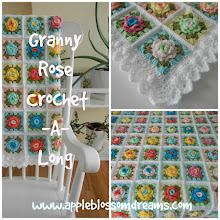 The roses and first granny row alternate all the other colors except denim. Can you guess the color I have in mind for the bobbly trim?